Toxic Mold Headaches Are Very Dangerous & Life Threatening! There are many reasons why homeowners do their best to keep their home clean and dry. One of them is to keep forms of black molds as far away as possible. Identifying Black Mold: Black molds are one of the toughest parasites to remove from your home and your clothes. Mold can stick to carpets, sub-flooring, and drywall that has accumulated moisture. Black mold looks greenish-black and feel slimy when it has enough water supply but dry and powdery without enough water. 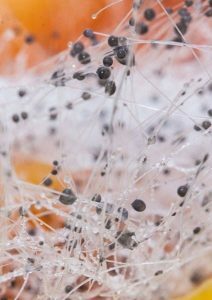 Toxic black mold, also known as Stachybotrys Chartarum, thrives in wet environments and produce what is called “mycotoxins.” These harmful little microbes can have dangerous effects on humans which may induce symptoms like severe mold headaches. Exposure to black molds will trigger a variety of reactions among many people. One of the most common symptoms, as mentioned above, is sudden, chronic headaches and even migraines. However, toxic mold headaches are just one of the black mold health effects. Some of the worst black mold health effects include aggravating existing upper respiratory tract conditions. For those who suffer breathing issues of any kind, black mold is especially worrisome. Mold can also cause nausea, general sickness, tiredness, irritation of the mucous membranes, adverse impacts on immune system, and even mental impairment/fogginess. Exposure to black molds can also trigger skin inflammation and allergy in some people. Some extreme cases of toxic black mold exposure have resulted in death. Black mold is not something to take lightly. Health effects differ among people, so it’s imperative to remove the black molds immediately. There are proven ways to keep black molds out of your clothes. The key is to keep everything as dry as possible. After every washing cycle, make sure that your washing machine is emptied and dried to keep black molds from forming. Leaving the door to the machine open is an excellent way to let it dry out. You should also hang up your wet clothes, whether from washing, swimming, or other activities, as soon as you can. Long-term moisture should be avoided as much as possible in all fabrics. If you’re into sports and going to the gym, hang your wet workout clothes to dry immediately upon taking them off. Before you place them in the laundry basket make sure they are completely dry. It may be an annoying extra step, but you need to keep black molds out of your clothes at all costs to avoid having to deal with the tough task of removing them. In case you do find the need to remove black molds from clothes, the best way is to use special detergents designed with this specific task in mind. For mold odor removal from clothes, OdorKlenz Laundry detergent additives are perfect for the job. Their formula can remove tough mold odors and stains from clothes or blankets with one easy cleaning. You just have to add a few scoops (for the powder) or drops (for the liquid) into a normal washing cycle, and your clothes will come out black mold-free. Note: if you know that your clothes were exposed to black mold, please contact a professional for an expert analysis of your situation. 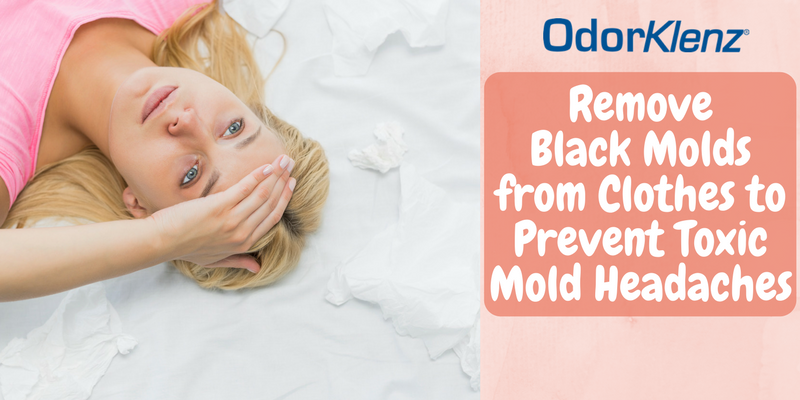 Toxic mold headaches, respiratory problems, skin allergy, sickness, and even immune system compromise can all be caused by exposure to toxic black molds. Remove black molds from clothes and home surfaces immediately. However, if you can’t remove all of them, it’s best to call a mold removal specialist. Keep your family safe by keeping your clothes and house dry. Start removing black mold odor and stains from clothes using OdorKlenz Laundry detergent additives and then contacting a mold specialist in your area. 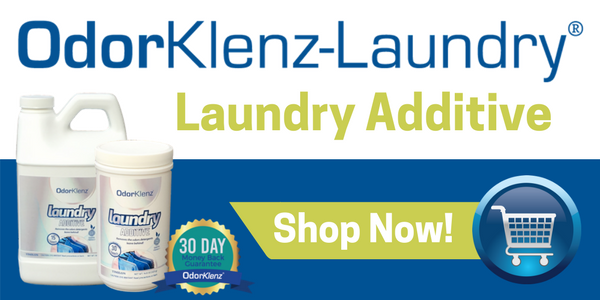 The OdorKlenz Laundry Powder offers the important step in eradicating odors out of your fabrics. Have confidence in an odorless wardrobe and trust that your linens will be free of any funky smells. Ideal for any fabric odors including smoke, grease, body odor, mildew, fragrances, chemicals, urine, or musty smells. Just use 1 to 2 scoops in your laundry load, mixed with your regular, unscented laundry detergent.